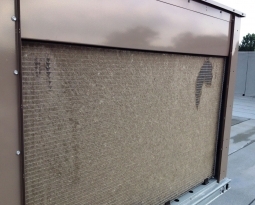 Severe hail stone weather can leave costly damage to your rooftop HVAC equipment if left unprotected. 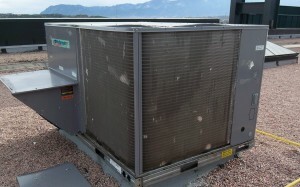 Hail flattened fins impair system operations due to reduced air flow, leading to strained motors and compressors due to longer run time, and raised power consumption. 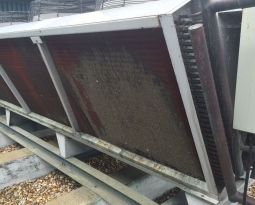 Eventually, some units will fail completely after a few months of minimized airflow, costing thousands of dollars in repairs, replacement and downtime. 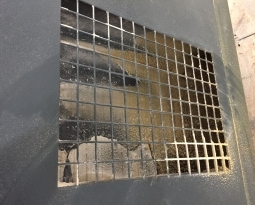 Luckily, HailStop hail guard netting is a simple, time saving and protective retrofit solution for equipment air intakes. 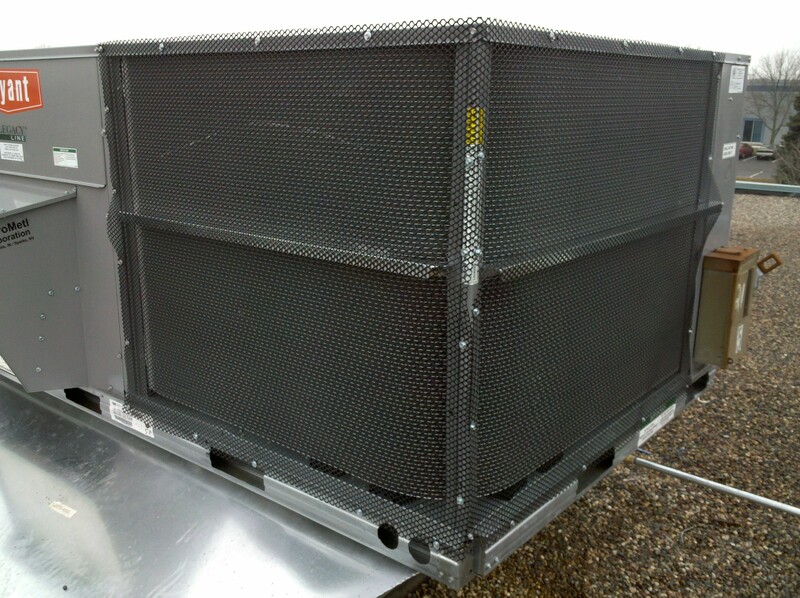 Permatron’s HailStop Hail Guard Netting is exactly the protection your equipment needs to safeguard delicate aluminum air intake fins against harsh hail storms. The netting, used to deflect airborne objects such as hail, is made of strong, rigid black polypropylene. 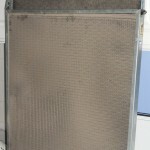 Diamond shaped openings in the media ensure ample airflow and lightweight protection. 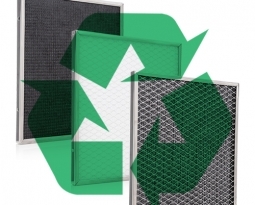 This netting can be used alone or layered behind Permatron’s PreVent® Model U or Model BHA Equipment Protection Filter Screens for added particulate protection. HailStop is easily installed using Permatron’s plastic mount clips featuring a movable/locking tab that opens and closes for secure installation. What can HailStop Hail Guard Netting do for you?